LAMINO systems are required if the particle-laden ambient air adversely affects and impairs production. Their use effectively removes dust particles and allows them to work under constant clean conditions. For this purpose, the air is cleaned by two filter stages and led into an exactly limited workplace. The high-purity filtered air flows vertically through the entire work area, displaces the impure indoor air and reliably removes all impurities from the work processes or people to the outside. Smooth energy-saving motors, different purity classes, multilingual control units and freely definable dimensions are just a few of the extensive possibilities of this product range. LAMINO can be used for a wide range of applications in a variety of industries such as microelectronics, semiconductors, automotive, optics, pharmaceutical / medical, food, aerospace and research. 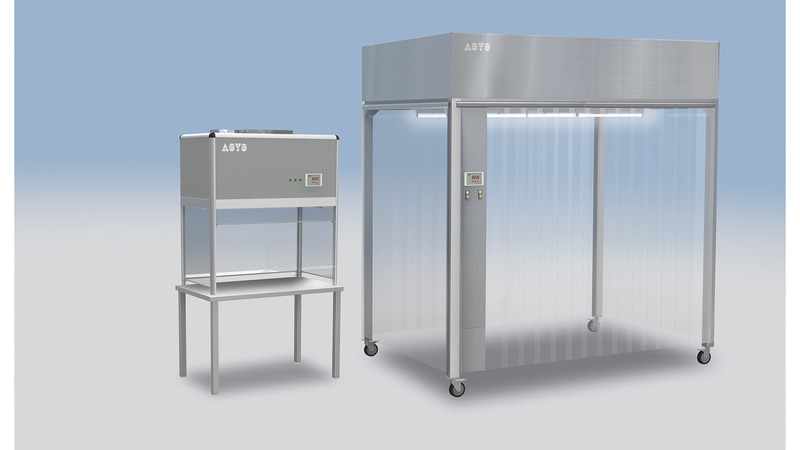 The ASYS process and cleanroom technology not only delivers tried-and-tested standard products, but also individual and customer-specific solutions that adapt to any requirement.